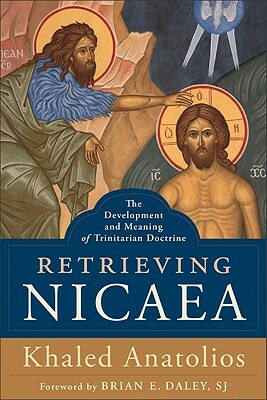 Khaled Anatolios, a noted expert on the development of Nicene theology, offers a historically informed theological study of the development of the doctrine of the Trinity, showing its relevance to Christian life and thought today. According to Anatolios, the development of trinitarian doctrine involved a global interpretation of Christian faith as a whole. Consequently, the meaning of trinitarian doctrine is to be found in a reappropriation of the process of this development, such that the entirety of Christian existence is interpreted in a trinitarian manner. The book provides essential resources for this reappropriation by identifying the network of theological issues that comprise the "systematic scope" of Nicene theology, focusing especially on the trinitarian perspectives of three major theologians: Athanasius, Gregory of Nyssa, and Augustine. It includes a foreword by Brian E. Daley. Khaled Anatolios (PhD, Boston College) is professor of theology at the University of Notre Dame. He previously taught in the Boston College School of Theology and Ministry. He is the author of Athanasius: The Coherence of His Thought and the Athanasius volume in Routledge's Early Church Fathers series. Anatolios was named a Henry Luce III Fellow in Theology for 2011-2012. He is also on the steering committee of the Boston Colloquy in Historical Theology and on the board of directors of the Pappas Patristic Institute at Holy Cross Greek Orthodox School of Theology.